The Washington State Real Estate Commission and Department of Licensing require the completion of 3 clock hours of prescribed core curriculum. This requirement went into effect June 1, 2004. Prescribed core curriculum is defined as a specific course of study, recommended by the real estate commission for approval by the director, that provides practical information on contemporary issues relating to the practice of real estate. The 3 mandatory core clock hours must be included in the 30 clock hours required for active licensees. It is important that the course you are taking states that it is the Core Curriculum as no other course counts as this course. (NO, the Code of Ethics course is not the Core Curriculum course). The SAR offers the Core Curriculum course as a 3-hour live class. Or, you may also take it online at www.warealtor.com or any of the online real estate schools. “Current Issues in Washington Residential Real Estate 2018-2019” is the Core Curriculum course required by DOL. Remember, you must take this class every 2 years for your license renewal. We are now in the 2018-2019 two-year cycle. During the 1999 National Convention of the National Association of REALTORS®, the Board of Directors approved Mandatory Quadrennial Code of Ethics Training for Existing Members, which provides that REALTORS® are required to complete quadrennial (every four years) ethics training. **Please note that the National Association of REALTORS® has changed this requirement starting January 1, 2017 to a two-year requirement instead of the four-year requirement. All REALTORS® members are required to complete a REALTORS® Code of Ethics course during each two year period. Please note for new agents, completing their first 2-year renewal, you must first take the 7.5-hour Code of Ethics Class Standards for Success, within 3 months of joining the SAR, and then you will be eligible for ethics training of not less than three hours of instructional time during the next two-year cycle. The NAR Code of Ethics Class offered at the SAR is a 4-hour class called “Code of Ethics for Real Estate Professionals”. This 6th cycle is from January 1, 2019 through December 31, 2020. Your membership will be suspended, until the class is completed, if this requirement is not met. Please call Tami at 326-9222 with any questions. 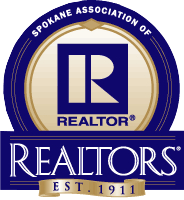 The Spokane Association of REALTORS® Education Committee recommended, and the Board of Directors approved, making the Spokane Association of REALTORS® 7.5 clock hour Purchase & Sale Agreement Class required for all residential members every four years beginning in 2005. Note, this class is now a required class. We are now in our 4th cycle starting January 1, 2017 through December 31, 2020 for this four-year cycle. Note: These four year cycles have nothing to do with your renewal dates. This class cannot be taken as an online class as it would not be on SAR forms. You may take the class at the SAR or if your office offers the class as a 7.5 clock hour class check with them to be sure they are submitting the sign-in sheets to the SAR for documentation that you have completed the course. Call Tami at 326-9222 with any questions. PLEASE NOTE: We recommend setting up some sort of filling system to keep all your class certificates together in one place.A simple 2 pocket folder will do or something more elaborate will work fine too. DOL will send you a renewal form about 30 days prior to your renewal and have you sign an affidavit that you have completed the required number of clock hours. You return it to DOL with your renewal fee. You will be ahead of the game by having that folder to refer to that has all of your class certificates right there in one place so you can be sure of how many hours you have completed. Most schools charge a $25 fee to replace a lost or misplace certificate. Plus, you have to track down which school you had taken that class from and that takes time. A filing system to begin with will make your life much easier when it’s time to renew your license. Keep all of your certificates for 5 years at least in case you were to be audited. You may also view a list of our classes on this site. From the Education menu, select SAR Classes. You may register online using your credit card or even print out a registration form and mail in your check. Don’t wait until the last minute to sign up for a class as it could be completely full. For a complete list of elective classes being offered through-out the state, please visit www.warealtor.com/education. You may take online classes there as well. Call Washington REALTOR® for further questions regarding any of their classes at 800-748-7053.